Congrats! You’ve made it to Tuesday! Is the week draggin’ on with nothing cheerful in sight? Well, look out your windshield. 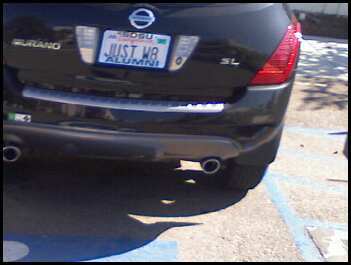 Direct your eyes in a downward angle, and read the license plate in front of you. You can find inspiration in 7 characters or less. 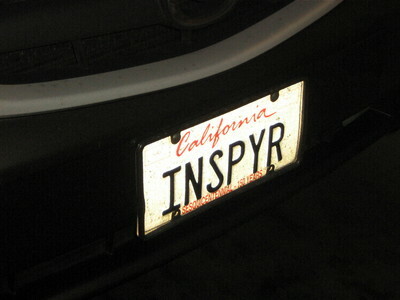 INSPYR – Inspire. See, it’s true that inspiration is all around us. We just have to be open to it. 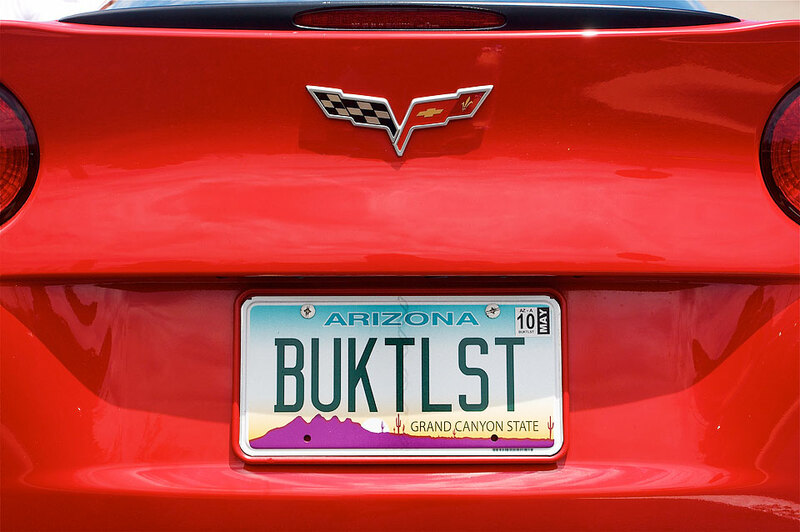 BUKTLST – Bucket List. If you’ve seen the movie, you understand why this is so inspirational. Start keeping track of things you want to accomplish in life before you “kick the bucket.” See how many you can tackle now with a little but of inspiration. After all, this guy was able to get his Corvette. JUST W8 – Just Wait. Life is all about timing. You may be going through a rough patch, but sooner or later it will clear up. Just wait it out. ~ by ASSMAN on November 17, 2009.